If you have lived with your cat since it was young then you have a good understanding of what is normal for your cat in the way of behavior and habits. Any changes in their behavior or habits can be a sign of illness. Because signs of illness in cats can be so subtle, even the most astute owner may miss some of these changes especially when the onset is so gradual. For this reason, it is extremely important to bring your cat to our veterinarian annually until 8 years of age and then semi-annually after 8. During the visit with our veterinarian and staff, you will review habits and behavior that may signal changes in health. This review will prompt you to think about what is going on with your cat and have a different perspective which may help in identifying signs of illness. In addition, our veterinarian will perform a physical exam which will play a significant role in determining where your cat is in the aging process and what can be done to keep it as healthy as possible for as long as possible. Our focus of senior cat veterinary appointments is to identify illnesses which may be in an early stage and set up a plan for treatment and management of any symptoms that may be causing discomfort. There are many illnesses which can be managed with diet and sometimes medications may significantly improve the wellbeing of your cat. It is through the partnership of cat owner and our veterinary team that we can best address and manage senior cat issues for the best outcome. Partnering with your veterinarian is the best way to enjoy your cat's senior years and allow your cat to age gracefully and comfortably. During your regular visits, quality of life issues will be addressed. 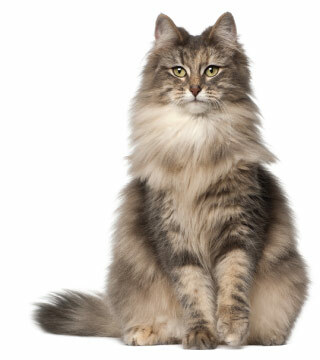 Along the way, you will make health decisions for your cat with the help and guidance of your veterinarian. At some point, you may be confronted with serious health issues and may need to address the need for diagnostic testing and possible procedures for your geriatric cat. Partnering with our veterinarian through your cat's senior years will make the final decisions more gradual and gentle. End of life decisions are always difficult but when you feel supported by our veterinary team, you will feel more comfortable and accepting of your choices. At Park Veterinary Hospital, our compassionate and supportive veterinary team is here to help you in any way that is in the best interests of you and of your feline companion. We understand this is a very difficult time regardless of the situation. You have lived with your cat for a long time, you have a strong bond with your cat and the grief process is real and should be taken seriously. Please contact us for information about end of life services including grief support.